As an Audio Forensic Expert, knowing what tools are available for audio enhancement and how they work is extremely important. While compressors are often thought of as tools for music production, they serve many functions in the Audio Forensic world. Like with most audio signal processors, it takes training and experience to operate compressors properly and effectively when enhancing audio. When an audio enhancement is required, the recorded signal is often very low, or the desired source is unbalanced, with other signals in the recording. Compressors can increase the gain of a recording while also balancing the levels of the sound sources. While different compressors will vary, most have the same basic controls. These include the threshold, attack, release, ratio and makeup gain. It is easy to focus on raising the level of the desired signal with a compressor and produce a loud, but unintelligible work product. 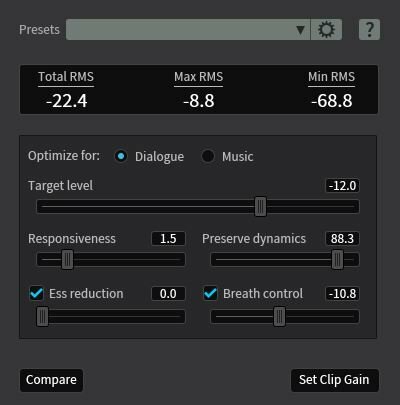 Sometimes a smaller amount of compression may have a more positive effect on the audio. An experienced Audio Forensic Expert will know how to effectively clarify the recording based on his or her knowledge of audio and signal processing. Now listen in with Audio and Video Forensic Expert Ed Primeau as he discusses the use of compressors in forensic audio enhancements. The post 21: Audio Enhancement – Compression appeared first on Primeau Forensics.